Theophilus, or “Theo” as he is called, is not your typical attorney. Before studying law, he graduated from Ithaca College with a degree in classical music where he studied opera, tap and ballet. In addition, Theo also has a diploma in embalming and funeral directing from Ohio College of Mortuary Science. After his undergraduate work, Theo moved on to attend and graduate from the legendary, Howard University School of Law and was class president. He comes from a prominent legal family. His father, the late Theophilus R. Nix, Sr., was the second African-American attorney in the State of Delaware. His cousin, the late Robert N.C. Nix, Jr., was the first African-American elected Chief Justice for the Commonwealth of Pennsylvania Supreme Court. The late Robert N.C. Nix, Sr. was the first and longest serving African-American Congressman from Pennsylvania. business/legal consulting companies. He has also been a construction arbitrator, co-owner of a family funeral home, held elective office in Massachusetts and was a political fund-raiser on the national and local stage. Holding Board positions with the Delaware Contractors Association, the Philadelphia Minority Contractors Association and the Delaware YMCA to name a few, Theo also received numerous awards for public service. Currently, Theo is corporate counsel for DuPont, a Fortune 500 international company, and is responsible for construction and design contracts for a multi-billion dollar international department where he drafts and negotiates multi-million dollar international and national contracts. Theo resides in Wilmington, Delaware with his devoted wife, Suzanne. They have four adult children between the two of them, along with eight grandchildren. Visit Attorney Theo Nix, Jr. for more information. 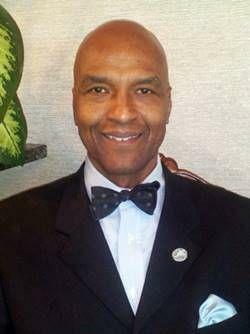 This entry was posted in Award, celebrity, honoree, Recognition, women and tagged attorney, construction law, DE, Deleware, education, Generational Wealth Coach, Howard Law School, Jr., lawyer, legal rights, PA, philadelphia, practice law, private sector, public sector, Theo Nix, Today's Honoree, Wilimington. Bookmark the permalink.